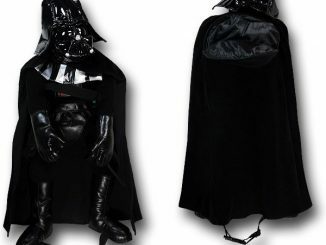 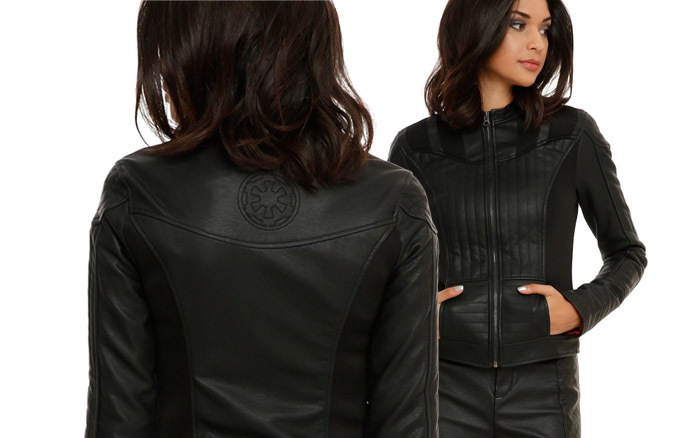 Forget the heavy breathing and Force-choking tricks because the Her Universe Star Wars Darth Vader Girls Faux Leather Jacket is all you need to fall to the Dark Side. 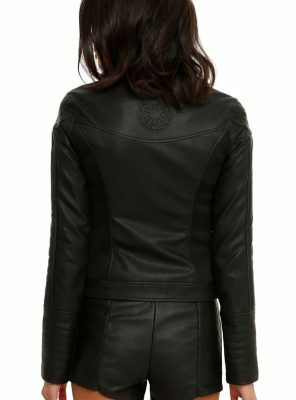 This black faux leather jacket cuts through style barriers as easily as Vader’s lightsaber cuts through ol’ Obi-Wan Kenobi. 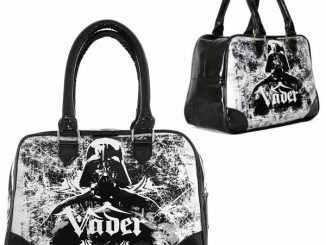 Stitching on the front instantly brings to mind Lord Vader’s intimidating look while the back features an embroidered Imperial logo. 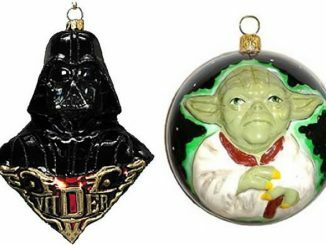 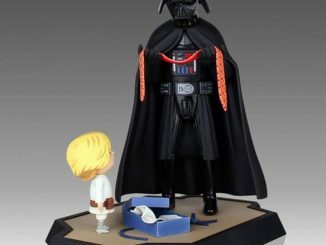 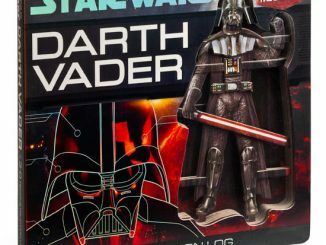 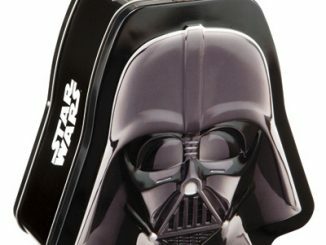 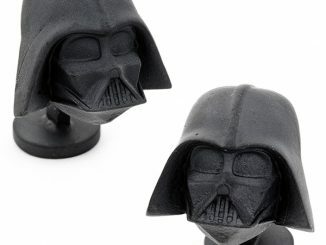 Even the inside shouts out to Darth Vader with a red lining that has a “You underestimate the power of the dark side” design. 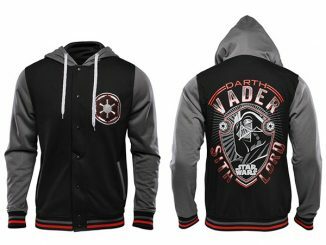 Of course, when it’s not chilly enough to reach for a coat, you can still keep the power of the Dark Side flowing through you with the Her Universe Star Wars Darth Vader Cardigan. 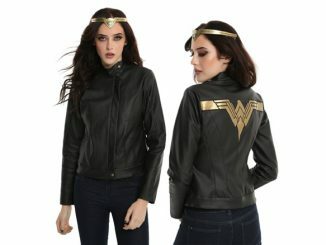 Available for $69.50 at Hot Topic. 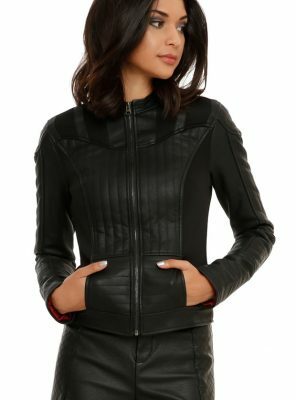 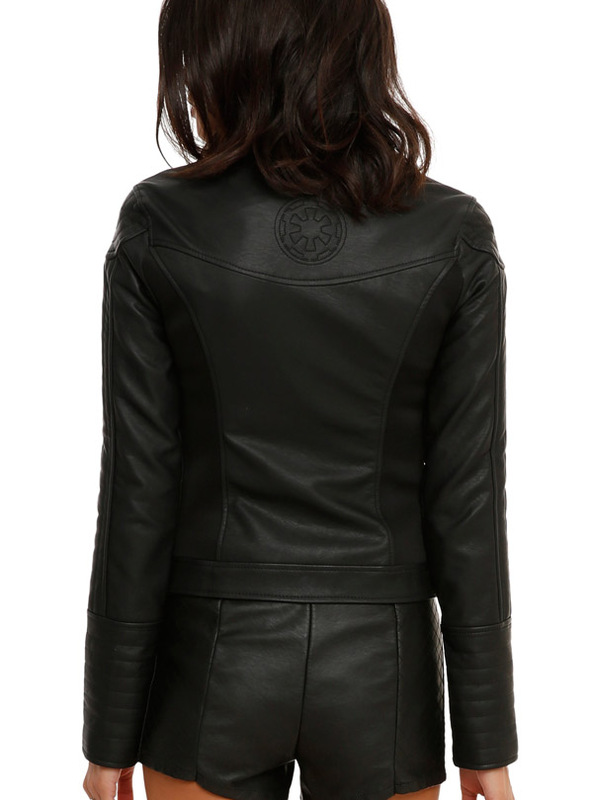 Rout.com, like the Force itself, can alert you to price discounts and deals on the Her Universe Star Wars Darth Vader Girls Faux Leather Jacket.